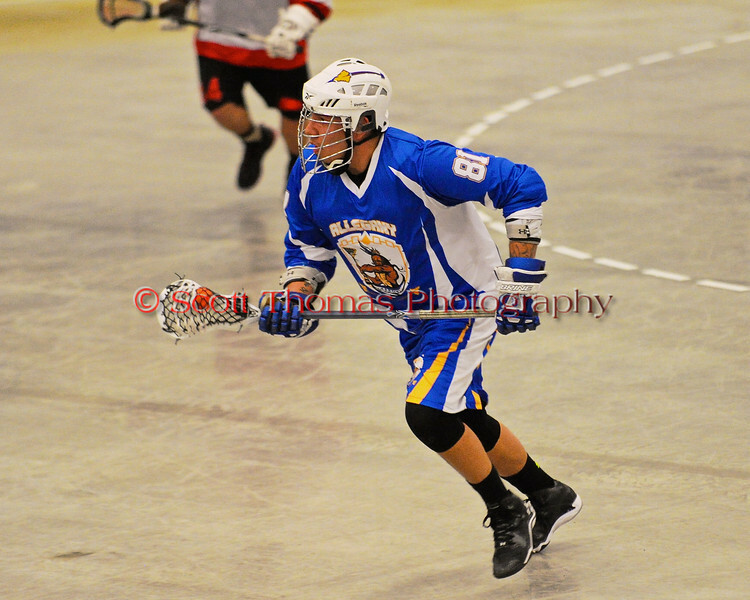 Onondaga Redhawks controlled the game from start to finish to post a 21-5 win over the Allegany Arrows at the Onondaga Nation Arena near Nedrow, New York on Saturday, May 3, 2014. $5 Photo Downloads for Facebook, Google+, Twitter or other Social Media profiles. Select the Download Tab after clicking the Buy button. Allegany Arrows Rodney Redeye (81) with the ball against the Onondaga Redhawks at the Onondaga Nation Arena near Nedrow, New York on Saturday, May 3, 2014. Onondaga won 21-5.